One:one mentoring sessions are tailored by me for photographers that were requesting a more specialized day as opposed to a group class. Each session starts off with a heart-to-heart consult & portfolio review, then we will cover everything from inspiration, creating a moodboard, shooting a bride/couple, posing, to workflow and editing. For half of the session we actually: shoot together with a model, work with clients interaction and get images to share on your portfolio, website and social media. You will get hands on experience and will have time fot every kind of Q&A. At the end of the day I want you to feel deeply motivated and inspired and able to produce touching images. SoprArno Suites is a boutique hotel with ten spaces designed to enjoy an unsual Florence. Each room has a unique style with furniture especially sourced, designed or crafted alongside antiques from Tuscany and elsewhere. My friends Betty Soldi and Matteo Perduca have filled this space with antique furniture and bespoke works of art that will be part of our shoot. SoprArno is in the Renaissance heart of the more artisanal Florentine neighbourhood of Oltrarno just a hop and a skip from the main centre. Palazzo PItti is around one corner, Piazza Santo Spirito around another. Santa Trinita bridge is at the bottom of the street and from the view of the Arno river there you can see the Pontevecchio and Piazzale Michelangelo up above. Cross the bridge and you are in Via Tornabuoni, the beautiful fashion street – keep going all the way to Palazzo Vecchio and the main Duomo square. Palaces, piazzas, bridges, museums, art galleries and churches – but also cafes, restaurants, shops and spaces are all to be discovered walking and exploring. SoprArno is on the first and second floors of a building and internal courtyard which dates from the 1200′s and used to belong to the Velluti family. All of Via Maggio is studded with splendid buildings, very much due to the Vellutis who created a throughfare in what was then countryside. Over the centuries, the Via “Maggiore” became the main route to and from Rome, which as ever was the centre of political and religious life, and the wealthy Florentine families tried to outdo each other by building the grandest palazzo next to each other. "This experience with Elisabetta was unforgettable, my heart is still longing to be back in Florence and to shoot more under her masterful and caring guidance. 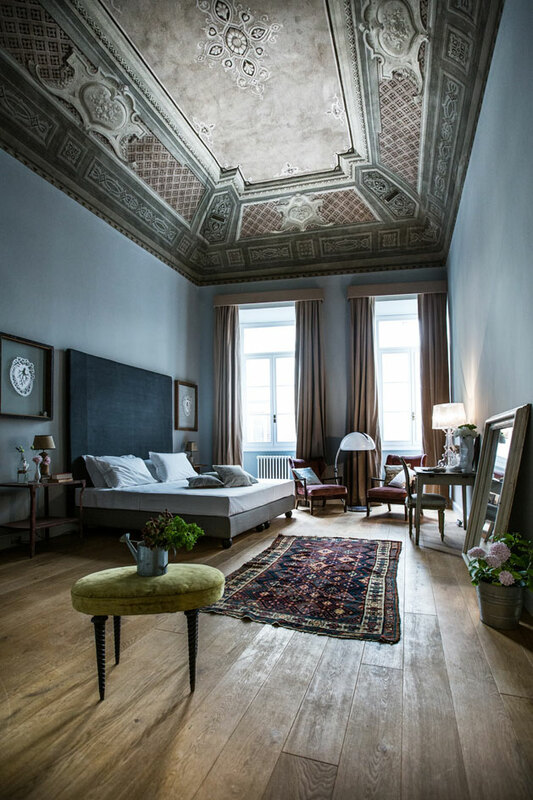 The place Elisabetta choose for her mentoring, SoprArno Suites, is indeed charming and creates a unique atmosphere. I am in love with Elisabetta’s sense of beauty and the way she brings it to the surface. I was so excited to shoot with her and certainly it came out beyond my all expectations. Everything was perfect that day: beautiful loving couple, fabulous location and my favorite mentor. I still look at my pictures from our workshop and can’t believe I did it myself. Elisabetta’s graciousness, warmth, competence and creativity made everything so easy and understandable, starting from the marketing aspects to the photography techniques. "Elisabetta was like one of those friends you go to when you feel down - you get back home feeling like all your problems have vanished. As my day with her ended, I realised that her passion transmitted feelings, emotions and a drive within me that I cannot find the words to describe. The workshop was perfect and very customized: she helped me how to review my portfolio, we took pictures on a great location with a gorgeous model, we spoke about marketing, shooting organization, photographic technique, emotion and editing.